Councillor Mike Clarke with infrastructure staff. The Eastern Transport Coalition is asking Yarra Ranges residents to support a push for a second rail line. The ETC is advocating for better Belgrave and Lilydale line service ahead of the November State Election. It joined with Yarra Ranges Council on a video campaign featuring Lyster Ward Councillor Mike Clarke. Last year, almost one in five peak services on the Belgrave line were late by more than five minutes – the second worst result on the entire network. “With frequent cancellations and unreliable services, commuters are fed up with a service that just isn’t up to scratch,” Cr Clarke said. “Part of the problem with the Belgrave line is the single track section from Ferntree Gully to the end of the line. “When trains are delayed the single track causes major delays, and the Belgrave line is one of the worst affected on the entire network. Cr Clarke said duplicating the line would mean more trains and less congestion, fewer cancellations and a better commuting experience. “If you’ve ever been on a packed train to Belgrave or Lilydale with barely enough room to breathe, it’s probably because the lines had the equal highest number of overcrowded or ‘crush load’ services on the entire network last year,” he said. Visit etc.org.au/trains to get involved. 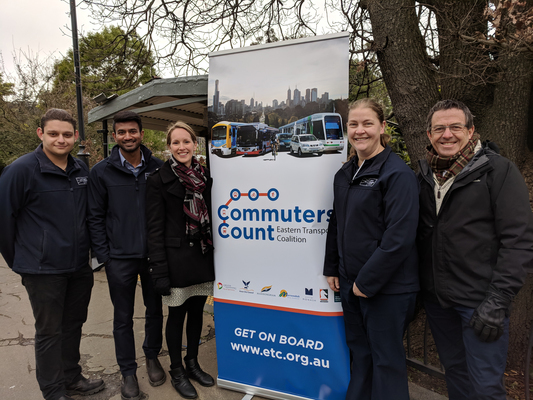 The ETC advocates for sustainable and integrated transport services to reduce car dependency and secure economic, social and environmental well-being in Melbourne’s east. 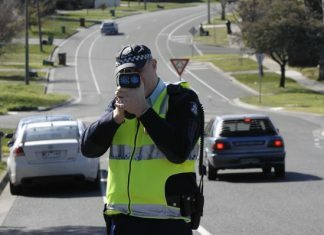 It aims to work with the federal and state governments, and is made up of Melbourne’s seven eastern metropolitan councils: Greater Dandenong, Knox, Manningham, Maroondah, Monash, Whitehorse and Yarra Ranges. The ETC represents more than one million people, and counting.